The next day at Forrester, Steffy and Liam are still talking about his planned sit-in. She tells Liam that Bill is planning to demo the building TODAY. Steffy tells Liam she thinks Sally has a crush on him. He brushes it off, kisses her, and leaves. A contractor tells Bill he set up the explosives and pre-weakened the building. He explains that he will drop the building when Bill is ready. Bill wants only dust and memories when it&apos;s over. The Spectra gang comes into their emptied out building ready for the sit-in. Sally is hopeful Bill will change his mind if Liam is there to help them. They agree to stand by Sally, despite the potential danger. Wyatt comes to see Steffy. He&apos;s looking for Katie, but notices Steffy&apos;s feeling down. Steffy tells him Liam is being reckless with helping Sally. She fills him in on Liam&apos;s plan. Bill is talking to Sky and Justin. They&apos;re relieved there is nothing standing in their way. Then, Liam walks in to talk about the Spectra building. He&apos;s looking for a better solution. He wants to give Sally a year, but Bill restates he&apos;s willing to relocate her with good press. Liam tells Bill about his plan to stop the demo. Bill laughs at him. The contractor tells the rag-tag group to leave the building. Sally tells him they&apos;re not leaving because they&apos;re staging a sit-in. When Liam asks what Bill he wants from him, he says family loyalty. Liam informs him he never wanted that and maybe Bill doesn&apos;t know his son. They agree they don&apos;t like to fight. 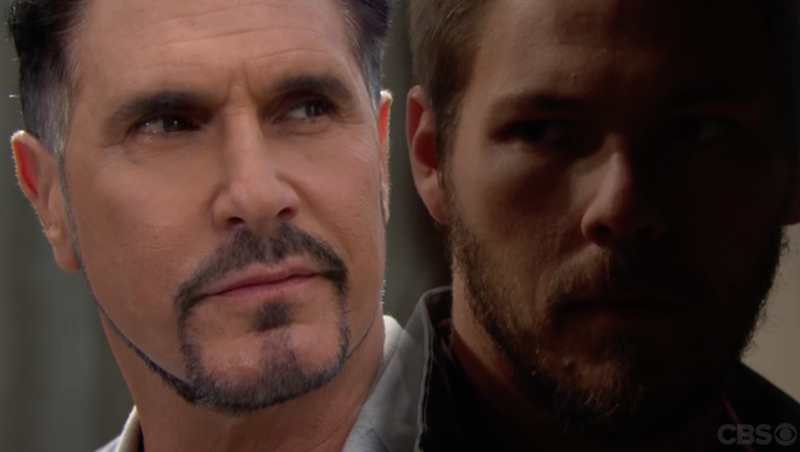 Bill tells him he should be worried about his own legacy, not Spectra&apos;s. Before Liam leaves, he tells Bill he will have to blow him up with the building. Justin comes to see Bill at the demo site with cigars all ready to celebrate. Bill fills him in on Liam&apos;s plans. The Spectra crew wonder where Liam is...and he appears. Bill tells the crew to cut the power to the building.